An apparent attempt to embarrass the owner of an independent newspaper in Hong Kong by hacking his email has called attention to the attempts to drive independent media out of Hong Kong. 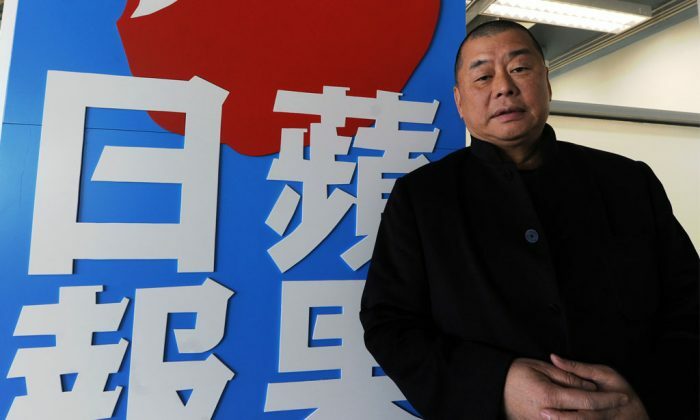 Close to 900 emails from Next Media founder Jimmy Lai were stolen and leaked to several pro-Beijing newspapers. The files include information on the boycott of advertisements of Next Media’s Apple Daily newspaper. Lai revealed last month that two London-based banks had pulled their advertisements from his Apple Daily newspaper. Lai said the banks, HSBC Holdings and Standard Chartered, did so under pressure from Beijing. The hacked emails show Lai in confidential communications discussing the loss of ads. According to the South Morning China Post, some files describe messages sent by Lai to Mark Simon, commercial director of Next Media Animation. Lai was requesting meetings with the heads of several companies about their advertising boycotts. Mingpao quoted Lai as saying that he suspects the emails came not only from Simon’s computer but also from other computers, including his own. Some Chinese publications are speculating the files were stolen with the objective to embarrass Lai. The speculation that the emails aimed to embarrass Lai is partly due to the fact that only Hong Kong’s pro-Beijing media received the files. The hacking was also reported on in mainland China by the Chinese Communist Party’s official mouthpiece, the Global Times. The pro-communist newspapers detailed Lai’s donations to Hong Kong’s associations, individuals, and political parties, information that could be embarrassing to Lai. There are also transcripts and audio records of conversations between Lai and Shih Ming-te, leader of the Million Voices against Corruption President Chen Must Go mass campaign—a campaign in Taiwan several years ago to remove its then-president. In treatment similar to that given Apple Daily and Next Media, the Hong Kong newspaper AM 730 has also faced having ads pulled. There has been a string of attacks on Hong Kong journalists in the last few years, including a recent knife attack on Ming Pao editor Lau Chun-to. The latest victim of the climate of fear in Hong Kong is Home News, one of Hong Kong’s largest pro-democracy websites. It closed operations on Saturday. The entire archive of articles on Home News has been pulled offline. All that’s left is a single message from one of its founders, Tony Tsai, which vaguely references a growing environment of “political pressure” and “fear” in Hong Kong. The pro-democracy, Chinese-language website started in July 2012, and had close to 300,000 unique visitors a day, according to Tsoi. Tsoi writes for several publications, and is a columnist for Apple Daily. Tsoi wrote that when he makes regular business trips to mainland China, “I have to admit, during each transit I would live in fear,” and added that his family is scared. Thousands of Hong Kongers are now looking to make their future elsewhere, as a tide of emigration has swelled in the wake of recent political events.